An Explorer; typically ‘Creative and inquisitive, original thinker, good at spotting insights’. Kadir joined the 100%Open team in 2017, a day after his birthday, which meant only one thing; cake! 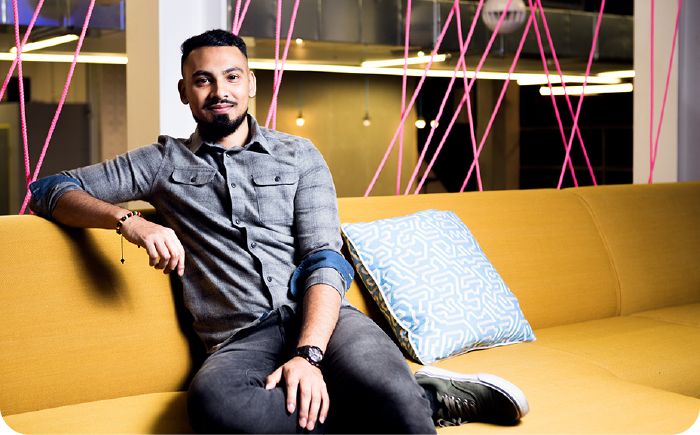 Kadir is our Operations Manager and comes to us with a wide range of skills and experience in office management, working most recently in the Arts sector. He supports the red half of Manchester and prioritises watching his beloved Red Devils over pretty much everything else. Kadir is also passionate about history and considers getting lost in a museum time well spent.